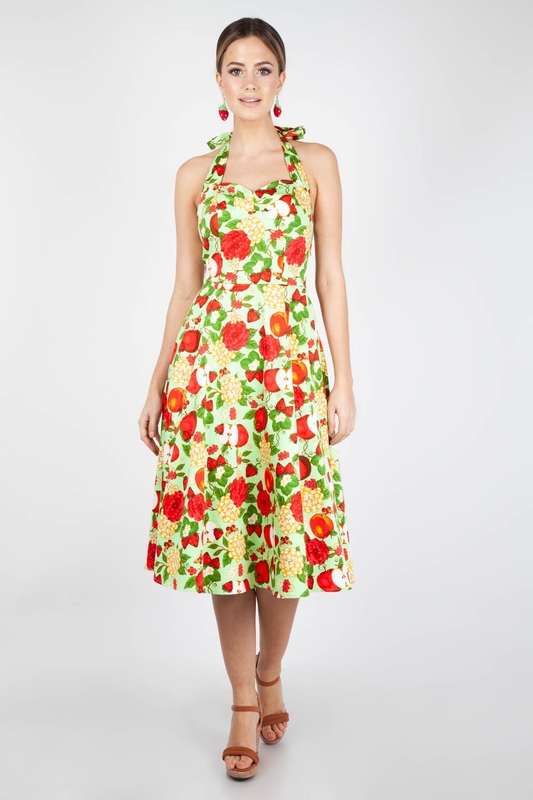 An apple a day keeps the doctor away, why not work towards your five a day with the Gloria Apple Print Dress. 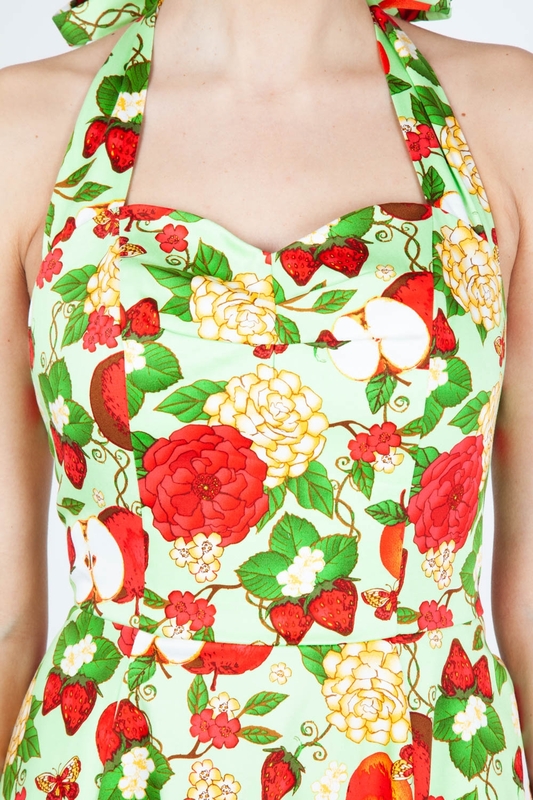 In one of our best selling prints in a new shape this little number is summer ready! 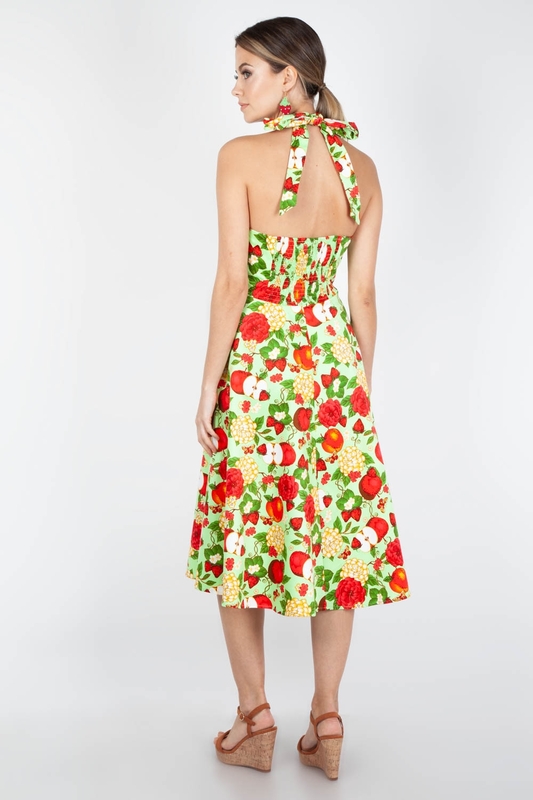 Don't fall far from the Vixen tree with this fruity inspired piece! Love the look? 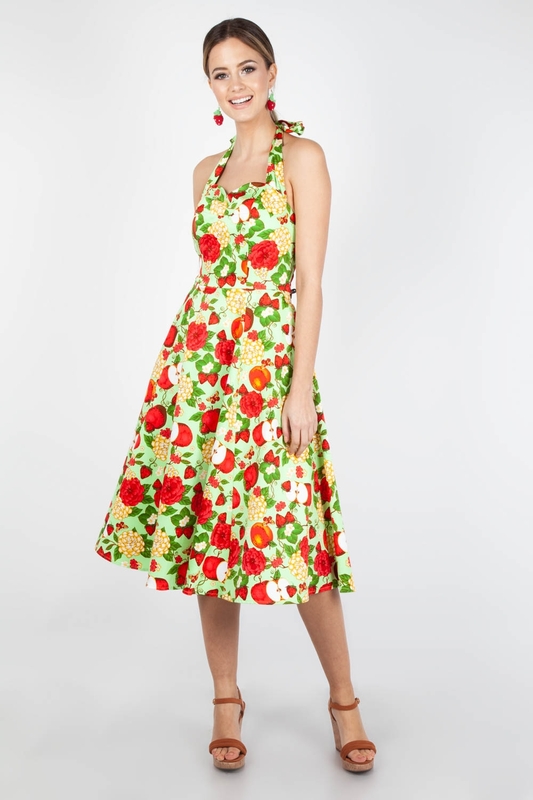 Check our Lucy Vegas Print Flared Dress with another bold print!